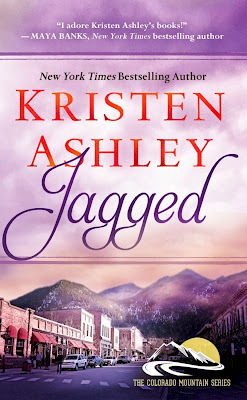 B's Beauty and Books: Jagged (A Colorado Mountain Novel) Review! Jagged (A Colorado Mountain Novel) Review! 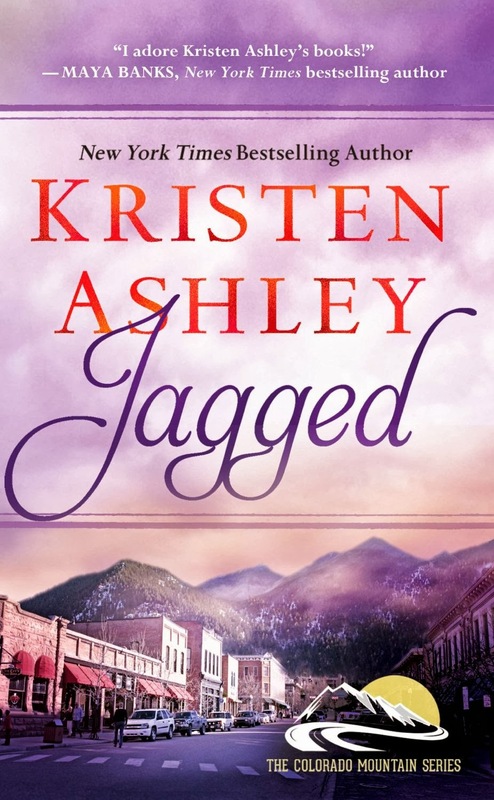 The next novel in Kristen Ashley's sizzling Colorado Mountain series introduces a new electrifying relationship that turns Carnal, Colorado into a hotbed of action, romance, and suspense. An old flame rekindled . . .
Zara Cinders always knew Ham Reece was the one, but he wasn't interested in settling down. When she found someone who was, Ham walked out of her life. Three years later, Zara's lost her business, her marriage, and she's barely getting by in a tiny apartment on the wrong side of the tracks. As soon as Ham hears about Zara's plight, he's on her doorstep offering her a lifeline. Now, it will take every ounce of will power she possesses to resist all that he offers. Ham was always a traveling man, never one to settle down in one town, with one woman, for more time than absolutely necessary. But Ham's faced his own demons, and he's learned a lot. About himself, and about the life he knows he's meant to live. So when he hears that Zara's having a rough time, he wants to be the one to help. In fact, he wants to do more than that for Zara. A lot more. But first, he must prove to Zara that he's a changed man. All things Kristen Ashley are wonderful, but the CM series is probably among the best things in her collection. Jagged introduced us to the very handsome Graham Reece, someone we had seen in another series briefly. February Owens was a lover of his and because of her he kind of got a ax to the shoulder, needless to say the Burg wasn't safe. But what we didn't know about Ham was he loved another, one he kept but walked away from quite a bit. Zara Cinders. Zara is super sweet and has had kind of a crap life. She has loved Ham for as long as she remembers being with him, but his inability to commit has made her move on. She marries Greg, a nice guy but a man which she has no passion with. Needless to say this doesn't last and they go their separate ways. Zara has to rebuild her life after she loses her home and her business. Ham finds out she is alone again and decides to right a serious wrong. Zara is a bit resistant to this given that she knows Ham is not going to commit to her. She guards herself and in doing so keeps pushing at Ham. But Ham is undeterred and keeps his intentions clear. He wants to help her. Which of course leads to other things, things that lead to a happy future if Zara gets out of her own way. I really love this one. It was short but really good. Although it sorta felt a bit out of place in the CM world, but then again so did Max & Nina's story and we got to see more of them. I loved going back to Gnaw Bone. I give it 5 lipsticks!! !